The car has 46k miles on it and the motor approximately 20k since it was completely rebuilt, including new pistons. I have the receipts for the engine rebuild and all other maintenance work. All of the work has been performed by Bruno Heidenwag at German Car Service, formerly located in Santa Monica and now in West Los Angeles. In addition to maintaining my cars, Bruno and I have been close personal friends for more than 30 years and he knows the car inside and out. I have owned it since 1999 and purchased it from the original owner with approximately 26K miles on the odometer. The car was featured in the December 1997 issue of European Car Magazine. Good luck. It may take awhile to get your asking price. Sounds like a great car and pics would help spark up interest around here. Hello and thank you for your replies. I was unable to upload photos yesterday and am attempting to do so now. In the alternative, interested parties may e-mail me at hw@harveyweinrieb.com and I will reply with photos. Having owned the car since 1999, I have detailed information which I would like to share with interested parties. The most convenient way to do that would be for you to give me a call in Los Angeles at 310-422-9798. All this stuff about it being M powered and no shots of the engine? It's a good looking car, I'm jealous of your seats! Hello DaRvDrUmS - Thanks for your reply. I have just posted the only two photos of the engine compartment that I have taken. Prior to taking more photos, my preference is to speak with prospective buyers by phone. If still interested after speaking with me, I would be happy to take additional engine compartment and other photos and e-mail them. Thanks for your compliments on the seats, Coyoteh. 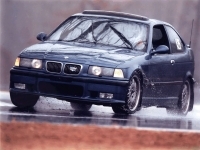 As you undoubtedly are aware, they are from a 1995 BMW M3 Lightweight and quite difficult to find. Is there no secondary air pump? You are clearly more tech savvy than I because I do not know the answer. I just spoke with the with the service writer at German Car Service and he was almost certain that the answer is "Yes." I will ask him or the gentleman who rebuilt the motor and has serviced the car for the past 13 yrs I've owned it to have a look at it and confirm next week. Only reason I mention it is mine is removed and you being in CA, I wondered if it would pass inspection. No SAP will throw a CEL unless it's bypassed or written out of the code. AFAIK. agreed. even with the low milage of the engine, 15k is pushing s54ti worthy. glws tho! Last edited by geetarspaz; 09-28-2013 at 04:02 AM. man thats cashy! cut the price about half and i would be interested. Thanks for your message. If it comes to that, I will keep the car and use it as a planter.